This listing is for ONE pair of SUPERKID SPARKLE CUFFS! 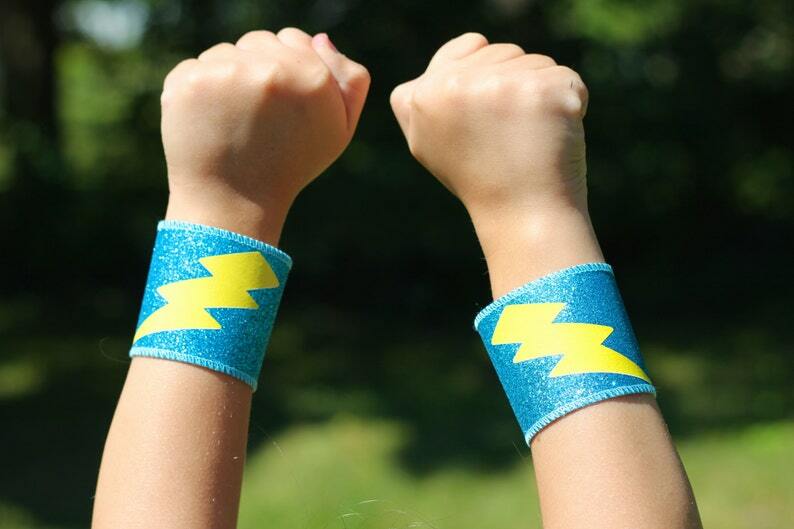 These power cuffs are made from a sparkle fabric. Sparkle does not rub off. The cuffs are serged on the insides and close underneath with sewn velcro. They are sized to fit a small to average sided wrist, child or adult. The perfect super accessory for any little hero. SHIPPING: Ships in 3-4 Days!